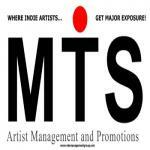 We will get you the exposure that your music deserves. Our clients have received press right next to the big boys, with personal one-on-one touch. We will get you reviews, interviews, appearances, airplay, social media buzz and so much more. Take your music to the next level...contact us today. Bio: Full service management, publicity, promotions, and record label. Home to award-winning singer/songwriters from US, Canada, Australia, Sweden and worldwide.